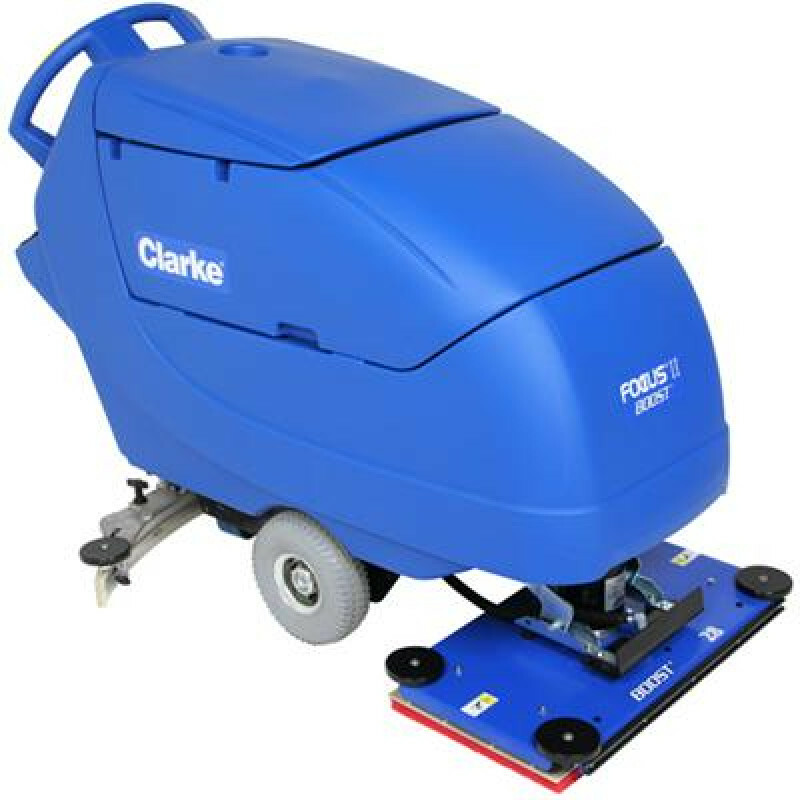 This Clarke Focus II is a 28 inch orbital auto scrubber that has Boost technology. Boost technology is a Clarke proprietary system that allows you to clean and strip floors the most eco-friendly way possible. It allows the scrubber to use less water and chemicals (by up to 70%), to get the same job done. The orbital scrubbing head does a great job of chemical free stripping, and can reach into hard to reach corners and right up to edges. All in all, this Clarke 28" auto scrubber adds up to offer a great amount of labor and chemical cost savings! The Focus II 28" scrubber has many advanced features such as larger tanks, 242 Ah wet batteries, on-board charger, one-touch scrubbing, and easy to adjust squeegees. It belongs to our walk behind scrubber department, and is one of the many orbital auto scrubbers that we have to offer. With the Boost Technology, you greatly improve your cleaning efficiency when you can scrub directly into corners, deep scrub and strip floors chemical-free and can even wet screen gym floors! Green Boost technology can reduce chemical / water usage by 70%, and pad usage by up to 40%. Can remove floor finish without chemicals, eliminating overhead & improves indoor air quality, all while reducing the time needed to strip floors. The high speed orbital motion (2250 RPM) not only has superior cleaning ability, but it also wet shines your floors, reducing the amount of time a floor needs to be burnished. 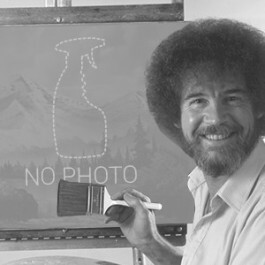 Ergonomically placed hand controls activate the drive train, start the flow of solution, and start the brush motors. Polyurethane squeegee blades work great for recovery, leaving your floors dry to the touch after scrubbing. On-board battery charger allows the machine to be charged anywhere. An outstanding warranty covers the body for 8 years from any manufacturer defects. Parts are covered for 5 years & labor for 2 years. Customers who were interested in the Clarke® Focus® II Boost® 28 inch Orbital Auto Scrubber were also interested in the following items. This is a review for the Clarke® Focus® II Boost® 28 inch Orbital Auto Scrubber.